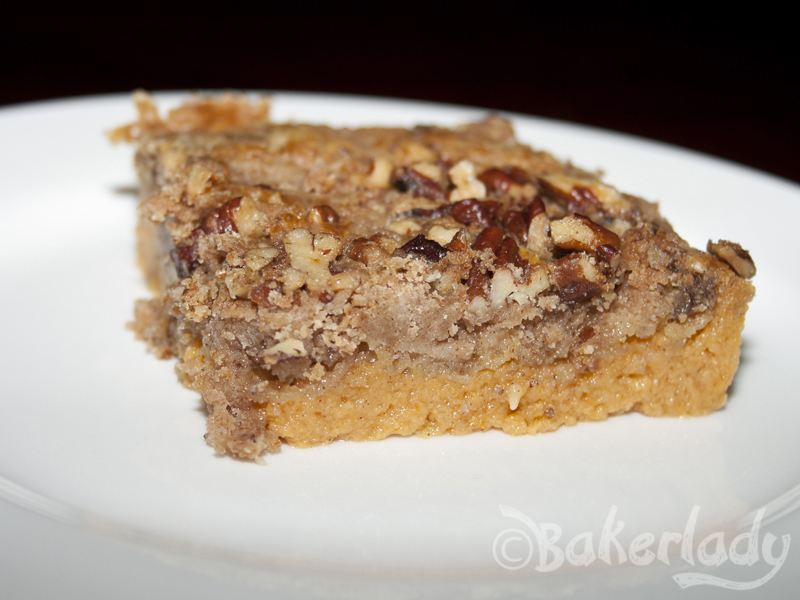 If you are familiar with dump cake, you’ll see the genius of this recipe immediately. My mom used to make dump cake when I was a kid. I’ll have to post that “recipe” sometime soon. 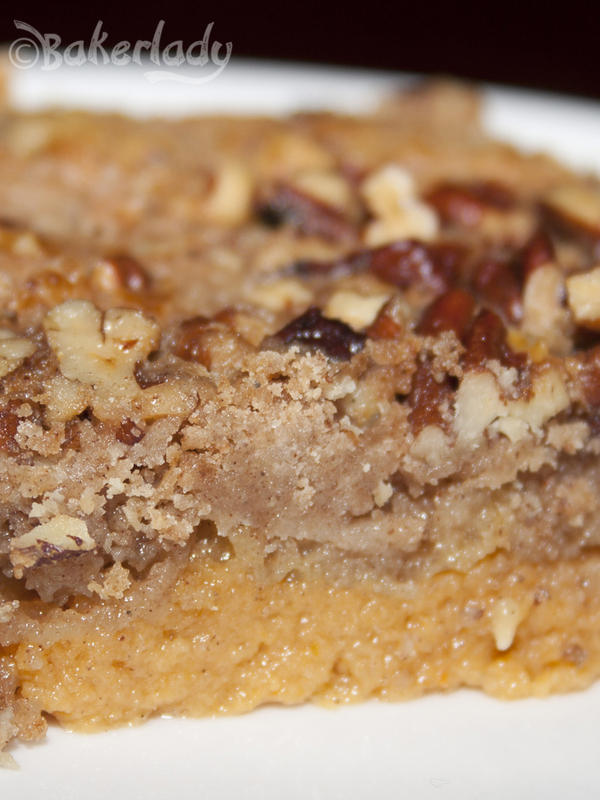 It’s essentially canned fruit, topped with dry cake mix and smothered with butter. Not really a cake in the traditional sense, but delicious. I saw this pumpkin version and knew it would be ah-mazing. And it was. This is two delightful desserts combined into one. Pumpkin pie on the bottom and pecan pie on top. Custardy spiced goodness covered with crunchy buttery caramelized nut topping. I’m telling you, it’s far too easy for how gorgeous it turns out. 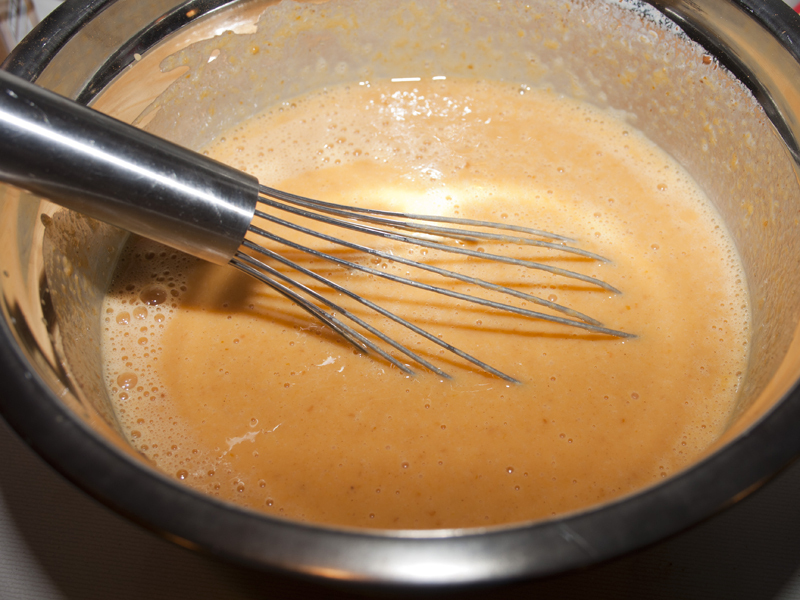 Stir together some pumpkin puree, a can of evaporated milk, eggs, sugar and some spices. 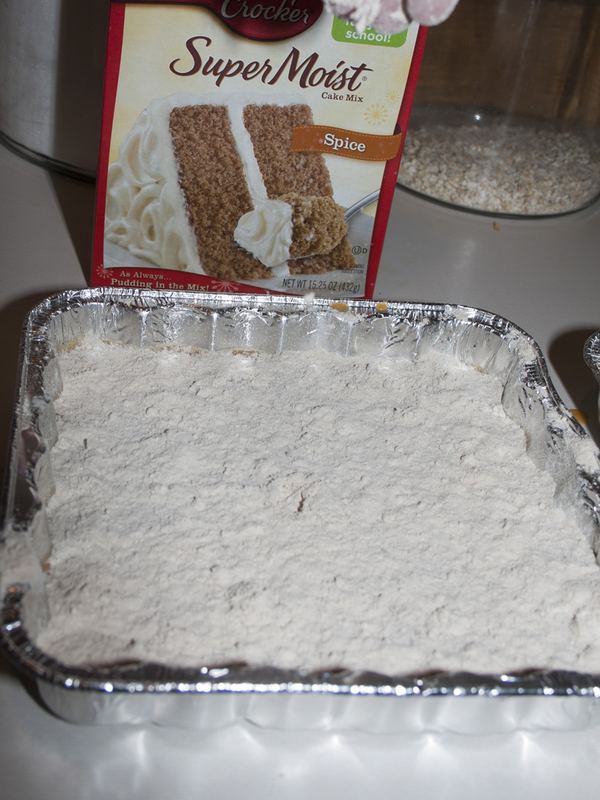 Pour into a casserole dish (I made two 9×9, but you can just do one 13×9 too) and sprinkle the dry cake mix on top. 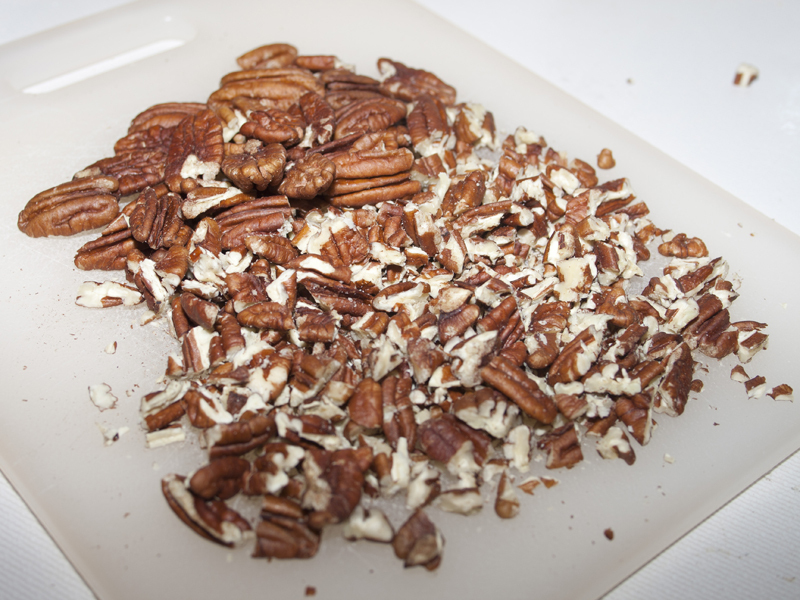 Sprinkle them on top and then layer butter over the nuts. Slice nice and thin and just lay it all over the top. I like to freeze my butter for about 10 minutes first. It makes it easier to cut. 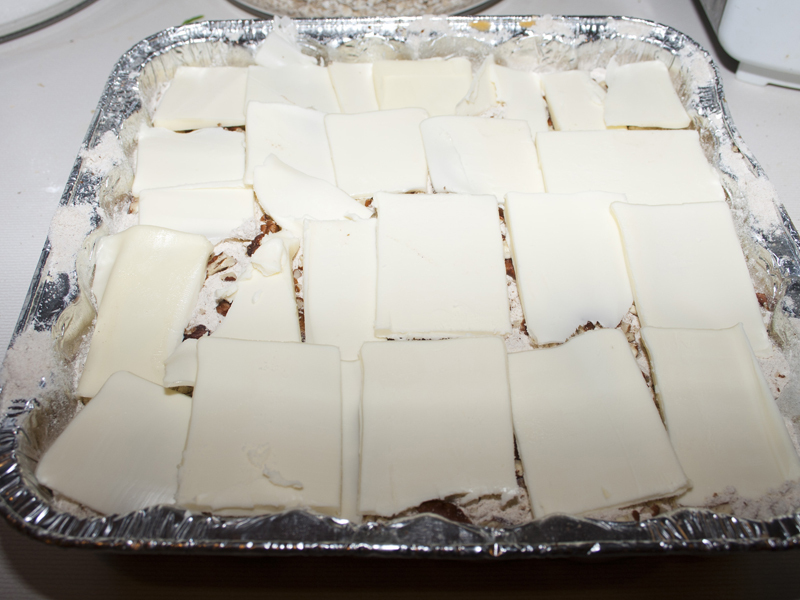 For whatever reason, layering butter like this makes this dessert look horribly bad for you. Much more bad (badder?) than drizzled melted butter. But I assure you, this is how you want to do it. Bake it up and marvel at the golden crunchy topping when it comes out of the oven. Yum yum yum. 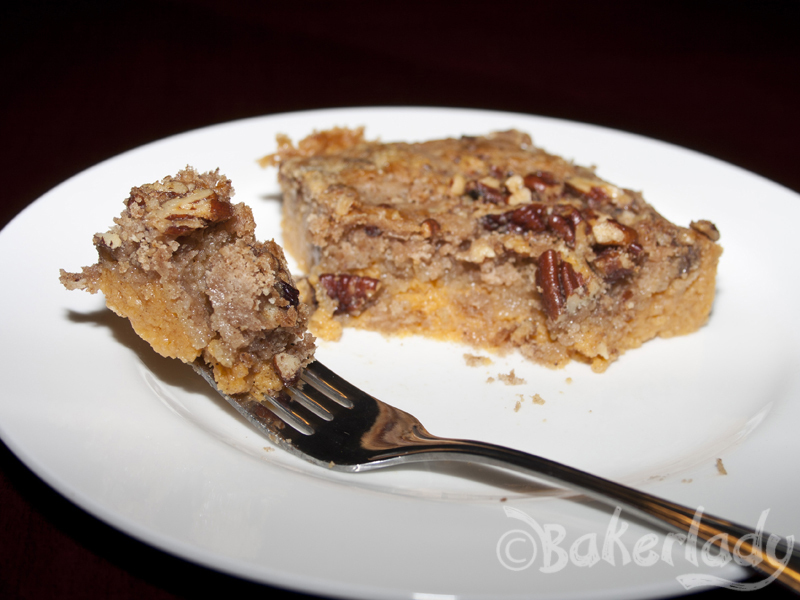 I adore pumpkin pie and this is the best (aka: no crust) part of that traditional dessert with amazing pecan pie action on top. You’ll be a little ashamed at how easy this is after people propose marriage when consuming it. But only a little. Heat oven to 350 degrees F. Grease bottom of 9 x 13″ pan. Mix pumpkin, milk, eggs, sugar, cinnamon, and salt. Pour mixture into greased pan. 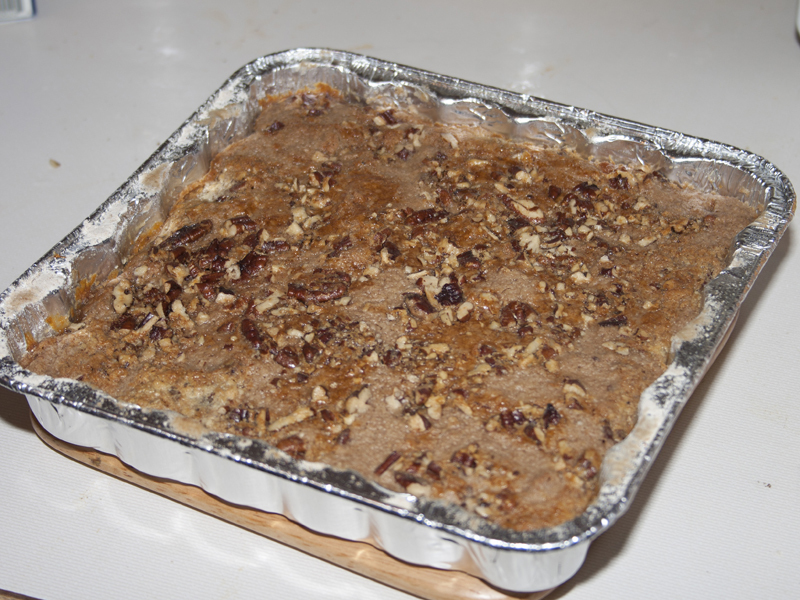 Sprinkle dry cake mix over pumpkin mixture and top with pecans. 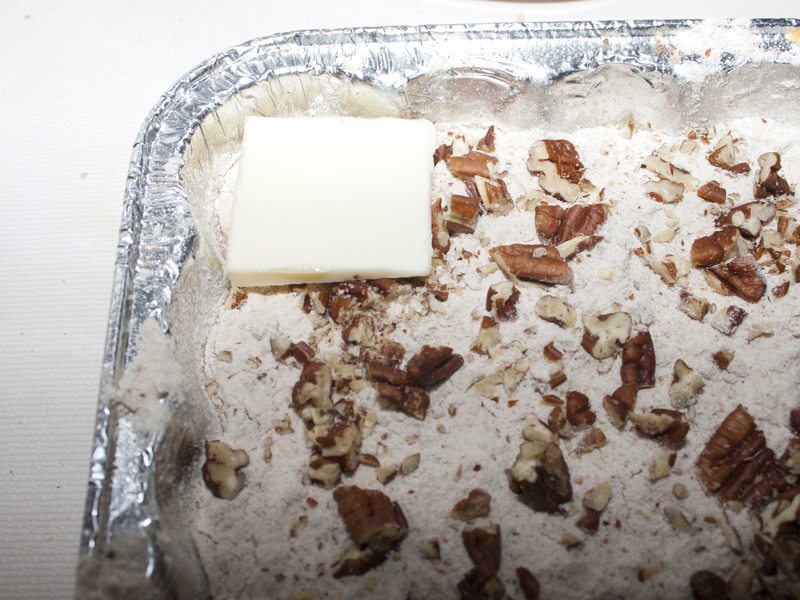 Layer sliced butter over pecans. Bake 50-55 minutes. 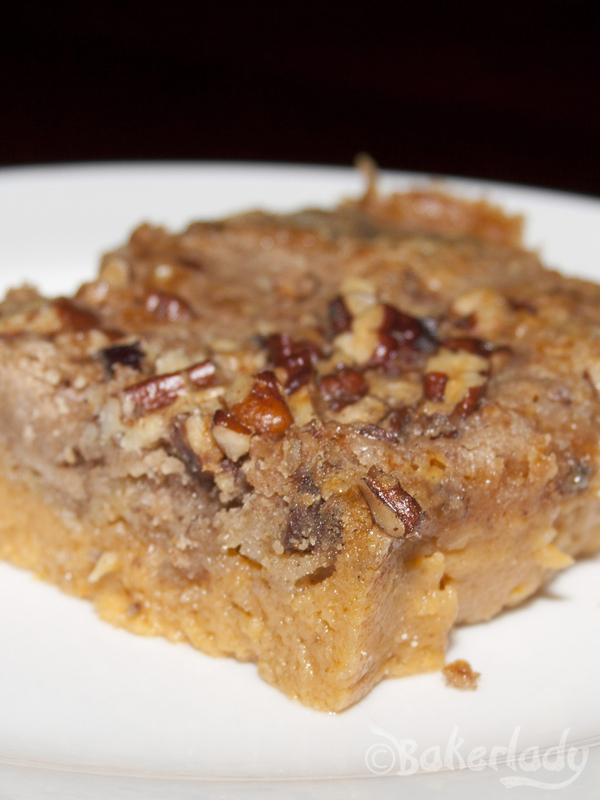 This sounds fabulous and I have some pumpkin to use up – but the post is missing from the blog? Do you think it’s okay to mix the wet ingredients the night before? So I can grab and run after work and just have to sprinkle the topping before tossing in the oven at a dinner party? I don’t see why not. Let me know if you try it that way.